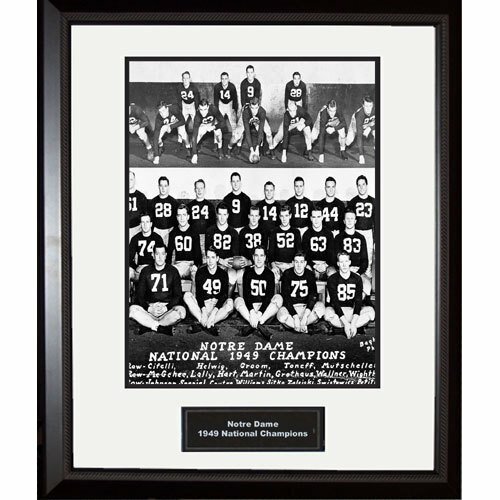 The 1949 Fighting Irish won the National Championship with an undefeated record of 10-0. It was the final National Championship for Head Coach Frank Leahy who won four in a seven year span. Many say that Leah's run at Notre Dame was the most successful run by any collegiate coach. This framed black and white 16x20 team portrait comes complete with a name plate black and white matting and a black frame. View More In Prints & Posters.